So while I wait for the tow truck I’m going to continue a project I had planned today. 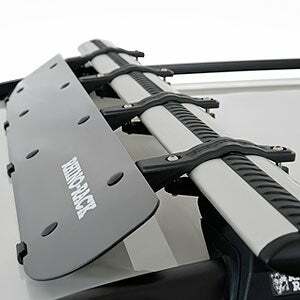 I’m building a wind deflector for my newish roof carrier. My plan is to just buy a semi thick flexible sheet of metal or aluminum, bend it into my desired shape and ziptie it to the rack. So the rack itself is pretty high and my original design would have worked of it was either lower or farther back on the car. So I’m going with the curves and hopefully, it works.